Don’t get me wrong, I don’t gamble with our clients’ SEO campaigns. But, I do make educated efforts to meet their goals and expectations online. I’ll use any new knowledge that helps me “stack the deck” in favor of our clients. I want them to have a house advantage online. I don’t make sucker bets when it comes to SEO! Who’s dealing the SEO cards? My analogy is inspired by Searchmetrics recent Ranking Factors and Rank Correlations Google U.S. 2015 white-paper. In fact, TWO recent and reputable SEO reports have been published. The other report was produced by MOZ.com. If you have any interest in SEO, both reports are worth reviewing. But, there’s a difference between the two. MOZ sends out surveys–that they create–to 130 worldwide SEO experts. The experts then provide their opinions and MOZ puts together an insightful report. Searchmetrics creates a data-driven report. Their results are produced by analyzing 30,000 websites all over the world. That being said, before I go mixing metaphors and analogies, both reports will help influence your website SEO efforts in a positive way. And if you’re new to SEO, both will educate you on the topic. The bottom line…Look for SEO opportunities that will help you stack the deck in favor of your website–or your clients’ websites. Find the players edge that suits you best (pun intended), and don’t make sucker bets. Their 78-page white paper digs deep into each card suit. And there is an in-depth hour long webinar available when you download the report. There are some key findings in the 2015 Search Rankings Factors Report. Yes your highness! Content is still king. Gone are the days of good ol’ fashion keyword stuffin’…Keywords are still important to your content strategy. But, you gotta theme your content with relevance and structure. Not! Mobile friendly sites do fare better in search results. But, as my colleague and I predicted, there was no mobilegeddon! The sky didn’t fall. Website search rankings did not plummet. Nevertheless, responsive designed websites are beginning to create positive search ranking affects. Choose your platform carefully. Plan and prepare a mobile strategy based on the industry and the audience. Cheaters beware! According to Searchmetrics “unnatural link building–and maybe links in general–are or may soon be over.” But, don’t dismiss high quality and authoritative backlinks. Develop a backlinking strategy and get out there and earn those links. There as good as gold you know. Bottom line, play your cards right. Develop good quality and engaging content. Then, the social shares will follow. More social shares is a good indicator people are engaging with your content. Therefore–in theory–a social buzz around your content does affect your website SEO in a positive way. As an SEO Specialist, I make educated attempts to create positive SEO affects on our clients’ websites. Our goal at Sprout Digital in Vancouver, WA, is to make our clients’ websites not only rank higher in search, but also reach and engage the right type of customers that benefit their business. Is SEO a gamble? In some ways, it is. Like my nerdy and burly colleague said, “Google is the one dealing the cards.” But, there are ways to gain an edge over the house. 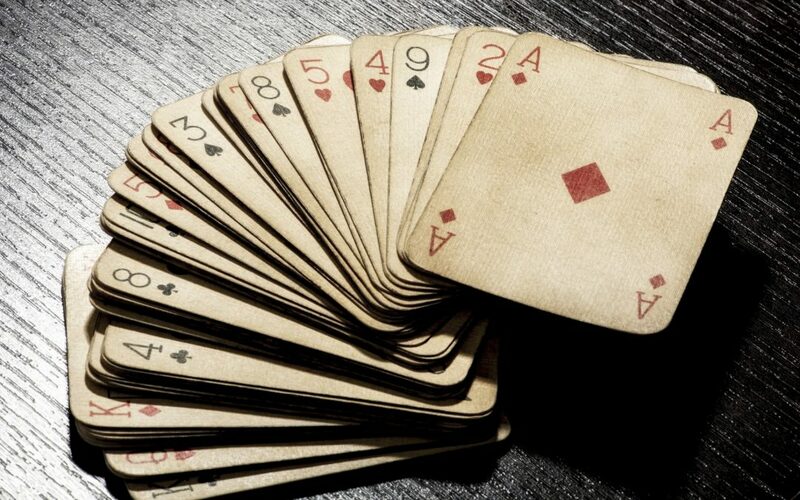 This way, the cards are stacked in your favor. Are there lucky bets and big jackpots that pay off big? Yes, but remember — those are sucker bets.